The bottle green suit is featured in net fabric. 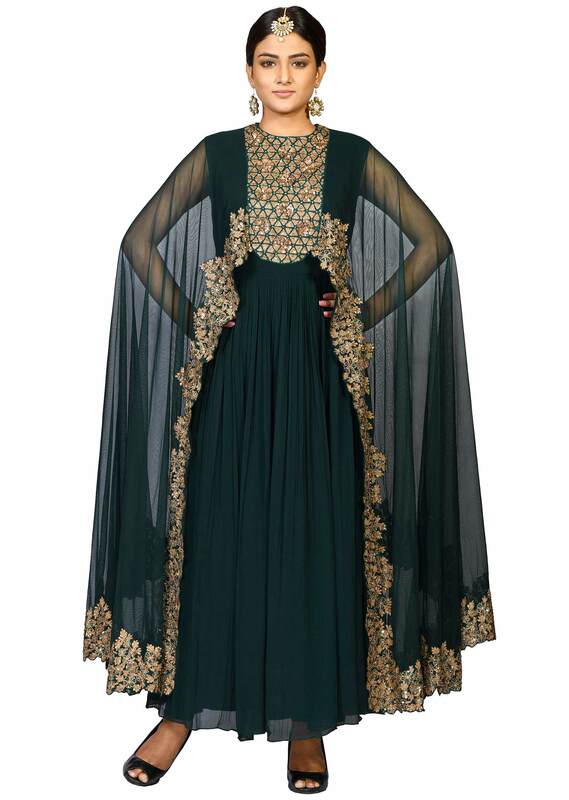 The entire ensemble is beautified using the zari and tikki embroidery work. 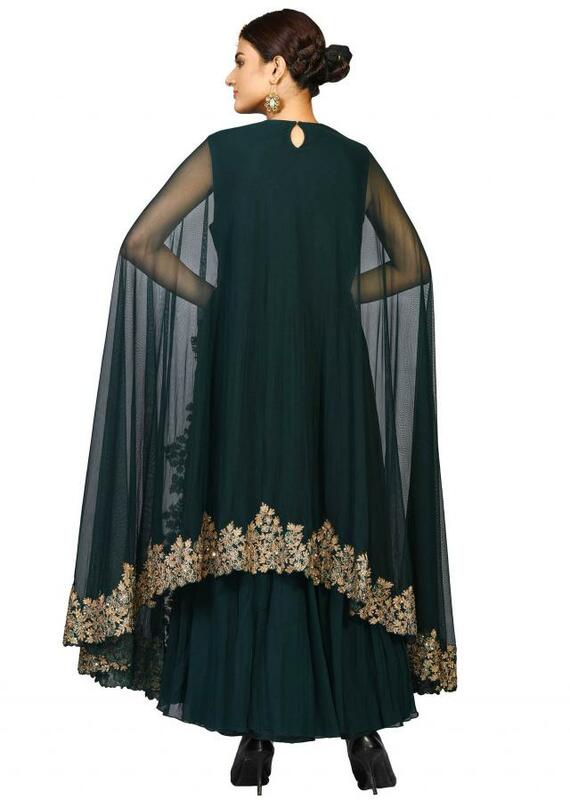 The suit has the much-in-trend long cape sleeves with embellishments at the borders.